Community. Environment. Health. 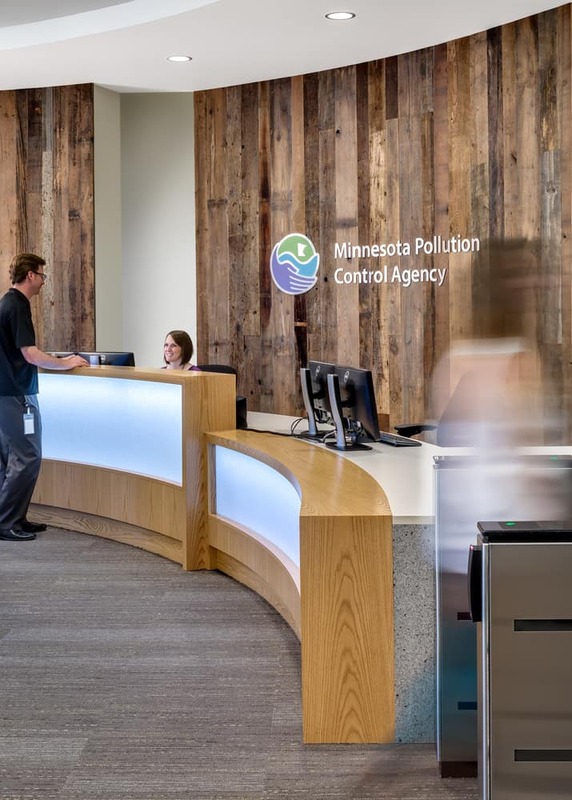 The Minnesota Pollution Control Agency (MPCA) launched an office refresh initiative to display these values to public visitors, inspire the work of current staff, and attract new employees. 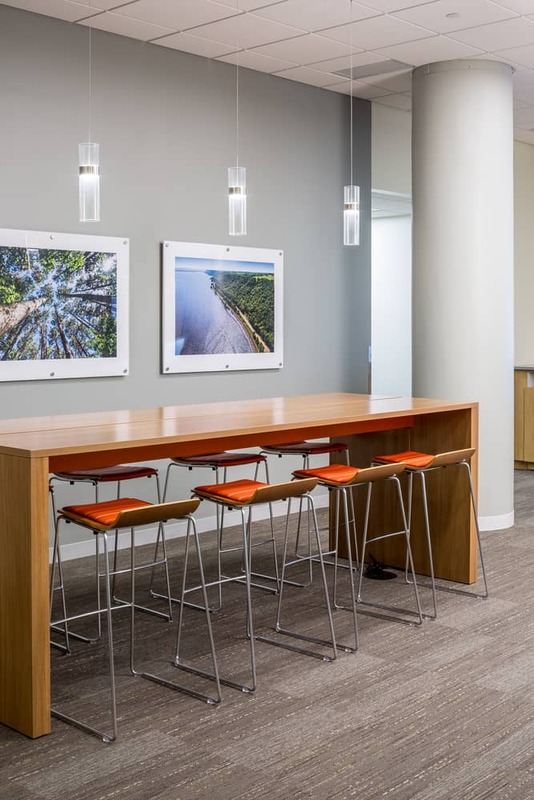 Through visioning workshops with employees and building owner Meritex Enterprises, BWBR created and implemented a phased facilities master plan which tells a “green story” about every utilized material and transforms the cramped layout into a workplace of the future. 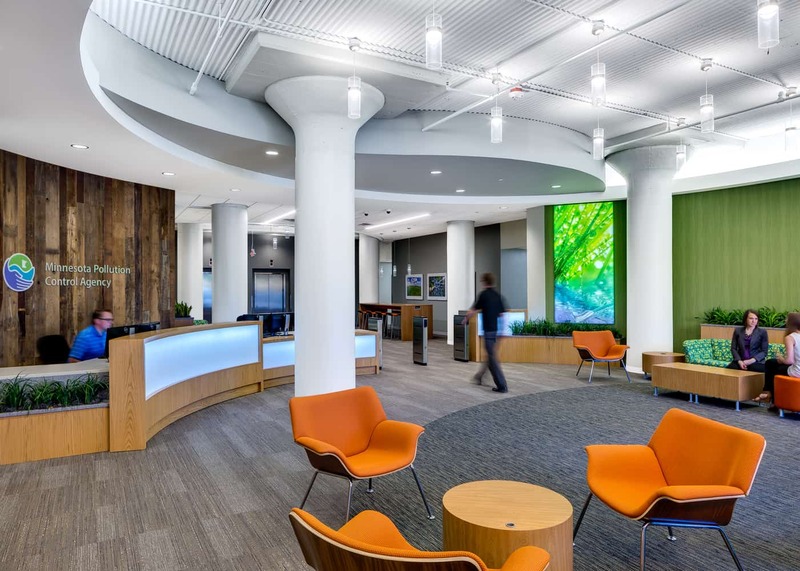 The first phase began by opening up the lobby, welcoming visitors to a clearly defined reception and security desk. Bright, colorful finishes invigorate guests, and earthy accents such as geometric bug patterns and reclaimed barn wood demonstrate the MPCA’s deep connection with the environment. 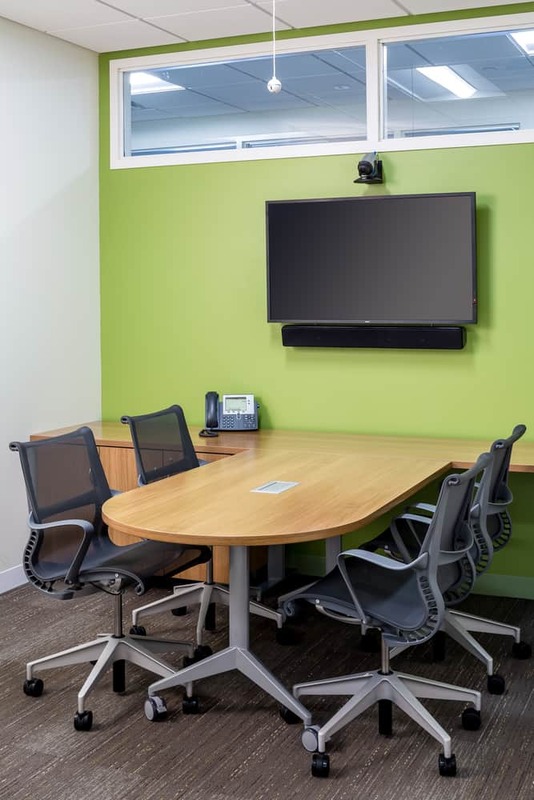 By relocating the conference suite next to airy exterior windows, natural daylighting floods the area and energizes a collaborative workspace. The new spaces are outlined by round, water-inspired walls that fluidly navigate guests and allow for clear sightlines into the cafeteria. 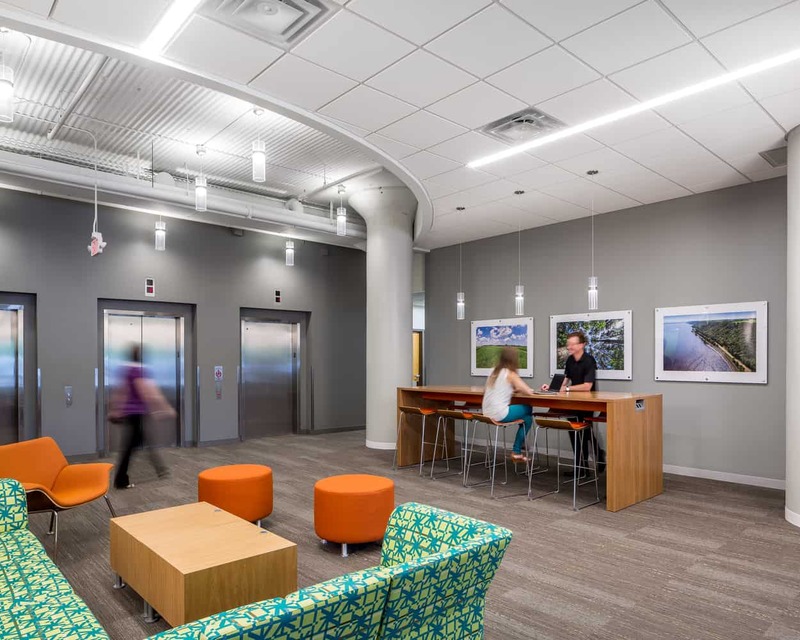 The vibrant and more open workplace gives the MPCA a space that brings to life the agency’s mission to protect Minnesota’s health and environment and creates an environment for current and future employees to be inspired by that mission.